Today I guest blog on Hello, Love about fun contemporary cake topper choices. These don't just apply to weddings either...many of these can be used for any party or happy day! Check out my post and my cake topper pin board to find more toppin' inspiration. 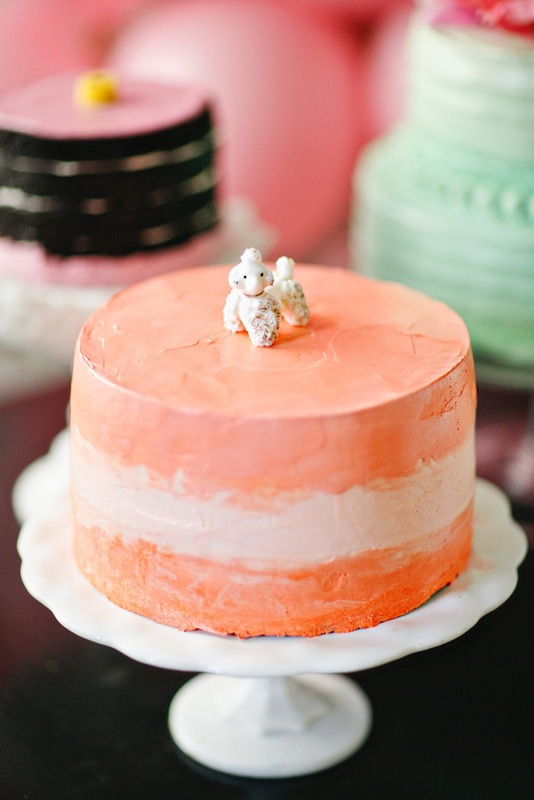 This little vintage poodle was a fun thrift find and a perfect fit for a modern pop inspired cake. Growing up, I remember my mother and grandmother had beautiful antique china cabinets full of interesting treasures like this little guy. Using a family heirloom can be a sweet way to impart a bit of your own family tradition into your special day. Of course, a random thrift store find can be just as fun. I love the idea of using candy with cakes: it adds an immediate punch of color and a playful, nostalgic vibe to your dessert spread. 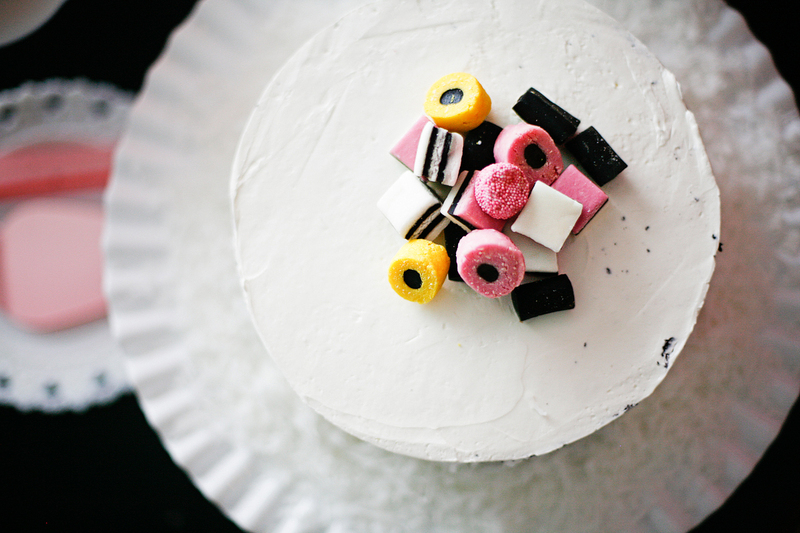 These British Liquorice pieces are almost an art form in themselves and give this cake a sculptural, artful look. Perfect for a candy-themed dessert bar, or an art-centric event.